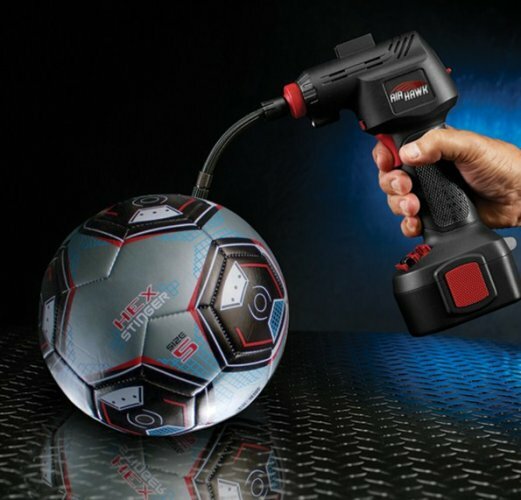 The Air Hawk is an amazing new cordless hand held air compressor that pulls in the outside air and then compresses it into the tire. It's fast, easy to use and extremely convenient. 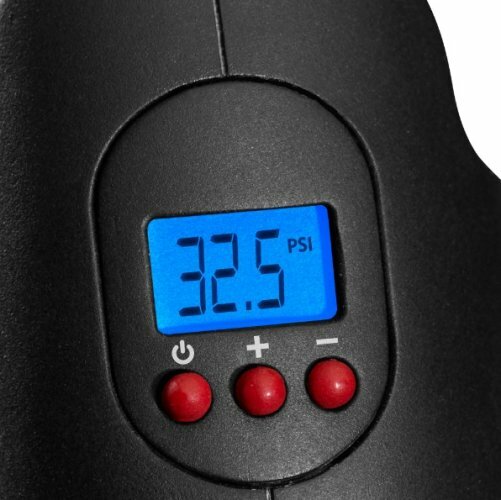 The Air Hawk digitally reads the pressure and can be set to stop automatically when it gets to the correct tire pressure. 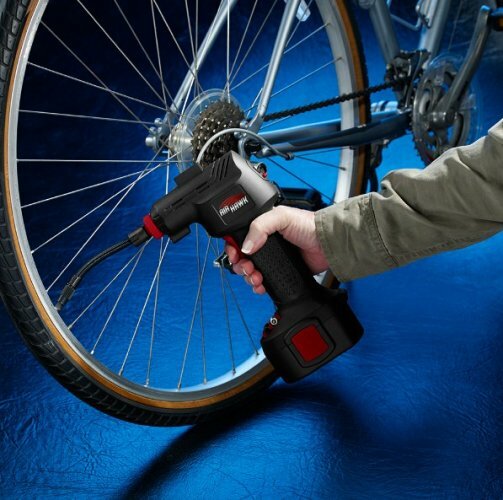 It's never been easier to inflate tires; on a car, motor, bike... The Air Hawk comes with several air nozzles for a wide variety of uses. You will get a carrying case, a car charger and a built in LED light at no extra charge. 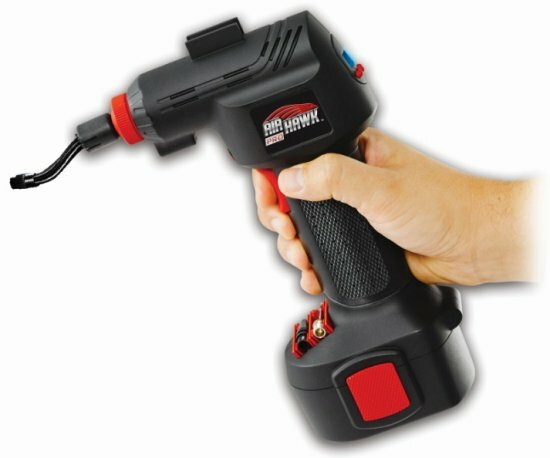 The Air Hawk is an amazing new cordless hand held air compressor that pulls in the outside air and then compresses it into the tire. It's fast, easy to use and extremely convenient. You no longer need to drive to the gas station for air, you no longer need to pull out the large bulky air compressor, you no longer need to buy those messy expensive cans of air. 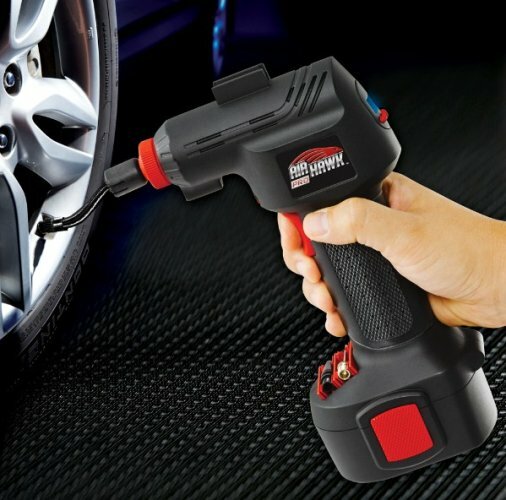 The Air Hawk is the most convenient time saving way to fill up your tires. Features an auto stop that can be set to stop at the proper pressure, and prevent over filling. The Air Hawk digitally reads the pressure and can be set to stop automatically when it gets to the correct tire pressure. The Air Hawk can help you out of a bad situation. Use on tires, toys, sports equipment, bike tires, air mattresses and more. 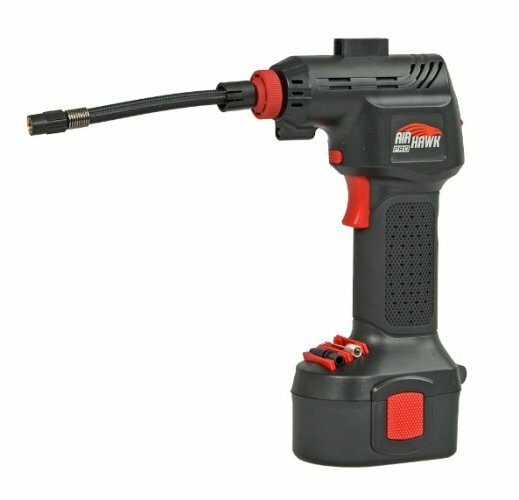 The Air Hawk comes with several air nozzles for a wide variety of uses. You know how frustrating it is when you have a flat ball, but with the Air Hawk flat balls are no longer a problem. 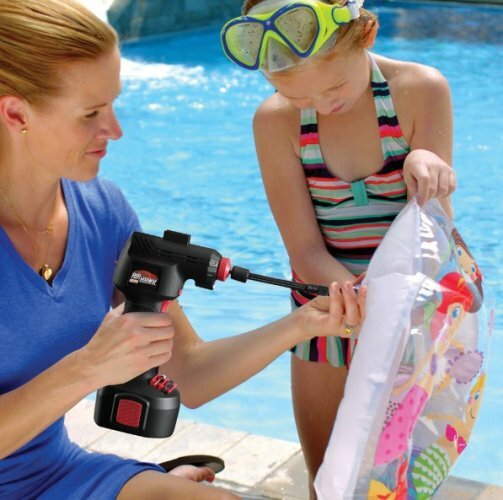 In the past blowing up inflatables, such as pool toys and camping air mattresses was a hustle. With the Air Hawk that job just became much easier. 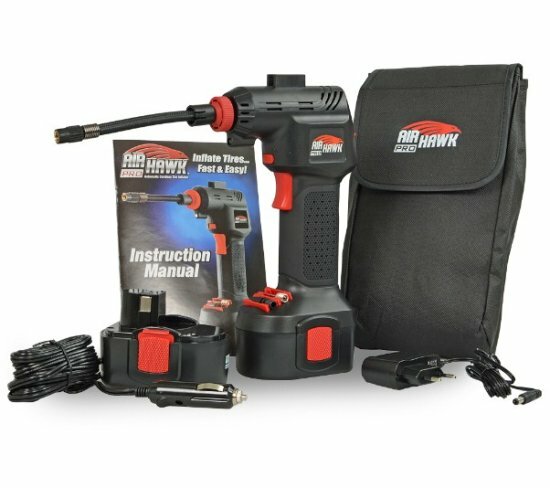 Best of All, Air Hawk is compact and can easily be stored in a cabinet, a car, or even a drawer! Free of charge to the Air Hawk Deluxe. You will get a carrying case, a car charger and a built in LED light at no extra charge. So don’t wait to order because sooner or later you are gonna need that Air Hawk.